Video consumption continues to skyrocket amongst online audiences. In fact, 43 percent more videos were watched online from 2013 to 2014. That’s 38.2 billion videos in 365 days. Those are some staggering numbers, and most marketers are starting to appreciate that numbers like these translate to huge opportunity when shifted into a business context. While many have seen quick success implementing basic video marketing tactics and using YouTube to scale their video libraries, most don’t yet have an appreciation for how to approach this channel in a strategic manner and what the real potential is for video technology within the context of modern marketing and sales programs. But those catching on are seeing a real, and measurable, impact on their marketing and sales goals, not just higher view counts. A recently released report from Forrester, “Market Overview: Online Video Platforms for Sales and Marketing,” offers a data-driven guide to help modern marketers wrap their heads around where video marketing technology is headed and how to tell their compelling stories via video. Whether you’re in a marketing, sales, or IT role, and whether you’re thinking about the why, when, or how of investing resources in online video, this report is an imperative read. It provides practical insights into developing a structured program around your video content, offers viable examples from big-name companies already grounding their marketing in online video, and offers supporting data to help solidify the value of video marketing for the C-suite. Allow me to pull out and paraphrase a few highlights. It’s pretty commonplace for companies to use YouTube or Vimeo as a starting point to host and stream online video. It makes sense; the platforms are entrenched in our daily lives and offer a hefty B2C audience. However, Forrester points out that from a marketing perspective it’s insufficient to only use these non-commercial platforms that offer limited visibility into the performance of your content and no integration with your other marketing and sales tools, such as marketing automation and CRM. When the goals of marketing and sales teams are lead generation and conversions, you need more control over the playback experience and the right tools to help you identify and convert your viewers. Put simply, there needs to be a clear plan for video to strategically align with the classic sales funnel. Part of the aforementioned strategic approach requires integration between your existing video platforms and assets, marketing automation platforms (MAPs), and marketing workflows. While it may not seem obvious from the outset, there is incredible potential value in a video platform that integrates with the likes of Eloqua, Marketo, Act-On, and other MAPs. Cumulative viewing data on your videos is interesting to see what’s trending, but it doesn’t help you mine insights on your leads or evaluate what particular content is leading to conversions . Putting your prospect’s video viewing activities in the full context of your MAP or CRM gives you a whole new layer of customer insights. You’ll know things like what individual videos certain leads watched and when, which in turn lets you strategically plan follow-up through other channels. When it comes to measurement, don’t fall into the trap of making it all about the views. The right video technologies afford the opportunity to track much more relevant insights such as who is watching the video, how long they are remaining engaged, what portions are re-watched, exactly when conversions are happening, and other engagement inflection points that impact your top-line. Furthermore, as Forrester notes, this is helpful for marketers experimenting with different types of videos to see what resonates, as well as for more granular lead scoring. Online video is quickly becoming one of the most important and inventive parts of the modern marketing mix. 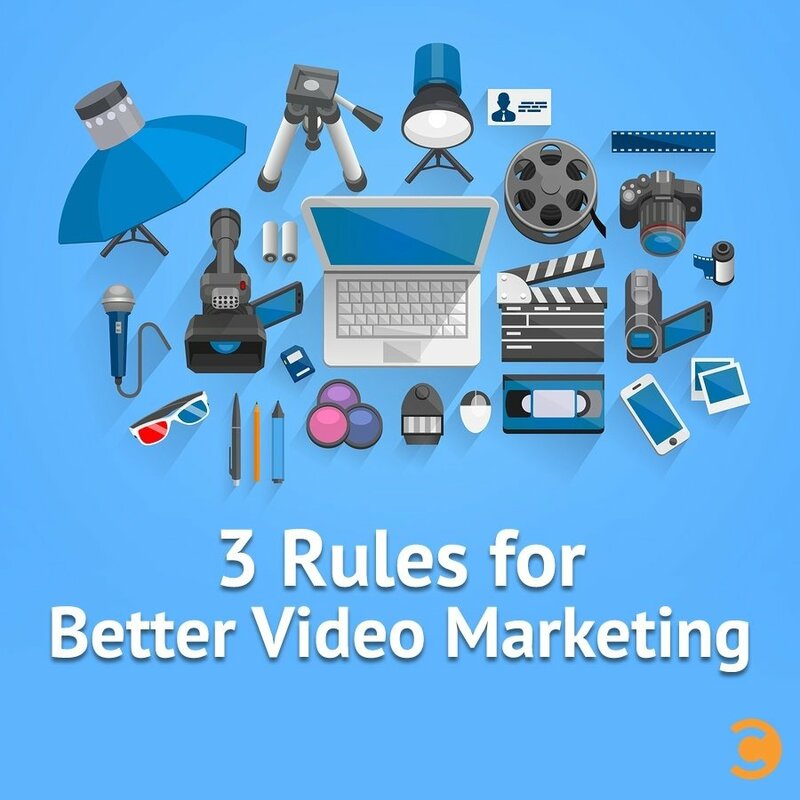 It can seem daunting to dive into, but this report offers a good place to start for understanding how much more comprehensive video can be as a weapon in your arsenal when you approach it with a balance of strategy, integration, and measurement. It also offers a snapshot of different vendors in the market, including Adobe, Brightcove, Kaltura, and Vidyard, and what they offer beyond a traditional channel like YouTube. And of course, it highlights the importance of thinking about your video strategy as an integral part of your conversion and customer acquisition strategy, because views don’t count—customers do.